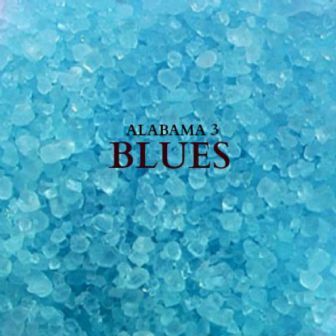 Alabama 3 are set to release brand new album on the Hostage Music label on the 28th of October 2016. ‘Blues’, released on CD, and available to download, is their thirteenth long player and was recorded and co-produced with Wizard (Chemical Brothers, Dizzee Rascal, X-Press 2, Wiley, DJ Fresh, M.I.A. / Diplo, Chase & Status) at Dean Street Studios in London last year. The new album features ten tracks, including the forthcoming new single ‘(I'll Never Be) Satisfied’, and brings together their now trademark chain gang clarion calls, bittersweet dope laments, sleazy whiskey rhythms, wailing harmonicas and obligatory Delta slide to great effect. Too many highlights to mention, this is a essentially a straight ahead Rock ’n’ Roll record that captures and embraces every human emotion and is possibly the infamous London band’s most complete and finest collection of songs to date.